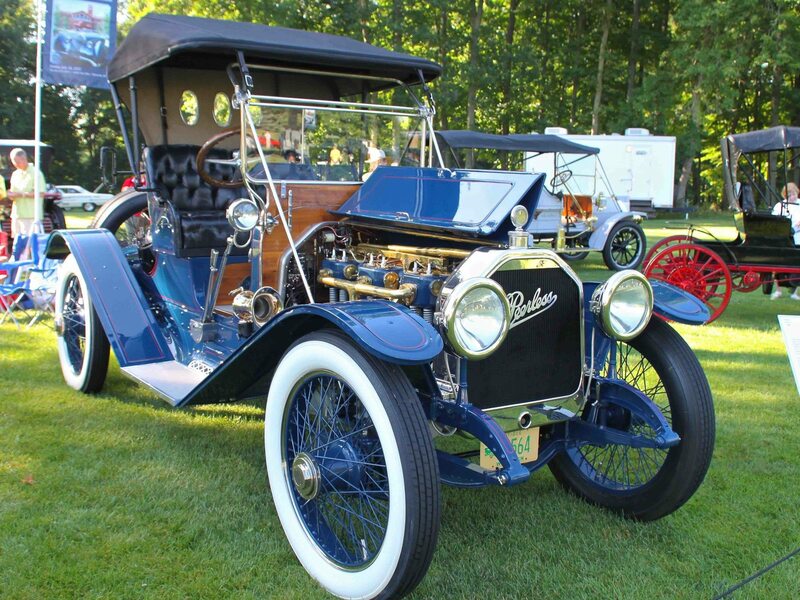 The Peerless Motor Car Company produced extremely high-quality automobiles from about 1900 to 1931 utilizing a factory in Cleveland, Ohio. They had previously produced bicycles and clothes wringers. 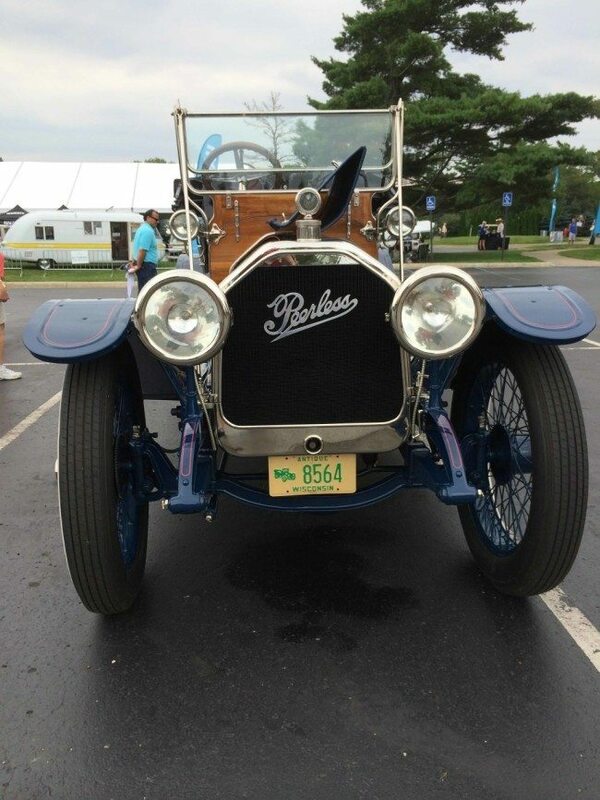 The company soon rose to prominence as one of the “three P’s” along with Packard and Pierce Arrow – all three considered the state of the art in auto manufacturing in the early 20th century. Peerless was a victim of the Great Depression in 1931, and ceased production as the market for luxury cars dried up. The firm was rebranded as American Brewing Company and eventually produced Carling Black Label Beer and Redcap Ale. They quickly grew to be one of the largest brewing companies in the U.S. 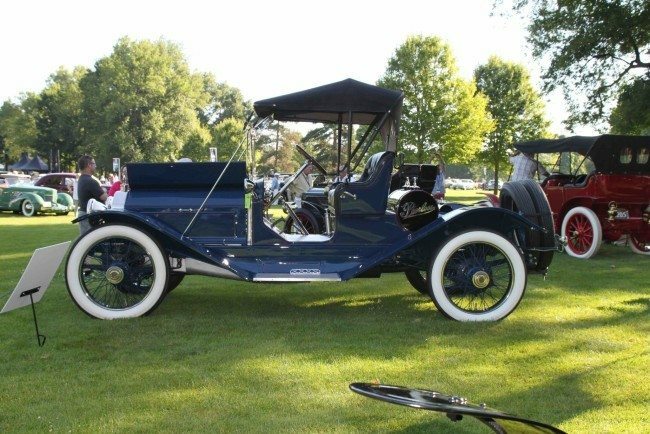 This 1913 Model 48 has an amazing 573 cubic inch T-head 6-cylinder engine mated to a 4 speed manual transmission – heady stuff in 1913 – and producing a huge 50 HP. It’s no wonder that legendary racing icons like Barney OIdfield were big fans of the Peerless engines. 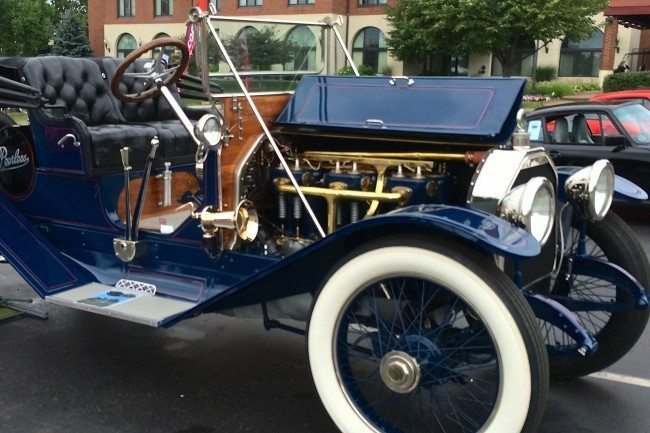 This car was originally purchased for around $7,000 by an executive with the La Jolla Mining Company in California. After several years of traditional service, it was driven to and parked on their mining site, where it served as the power source for the operation, and was then abandoned for decades. It was left to decay until the 60’s, when a chance encounter with a Horseless Carriage club member who spotted it from the air began the incredible rescue process. It was finally airlifted out of the canyon by helicopter in 1966, and a full restoration was begun by Merl Ledford and finished by Gerald Luckow, including an all new body for the car. Completed in 1984, it was shown at the legendary Pebble Beach Concours that year, and then displayed in a small mining museum until 2008. After a further freshening, the current owner acquired it in January of 2015. 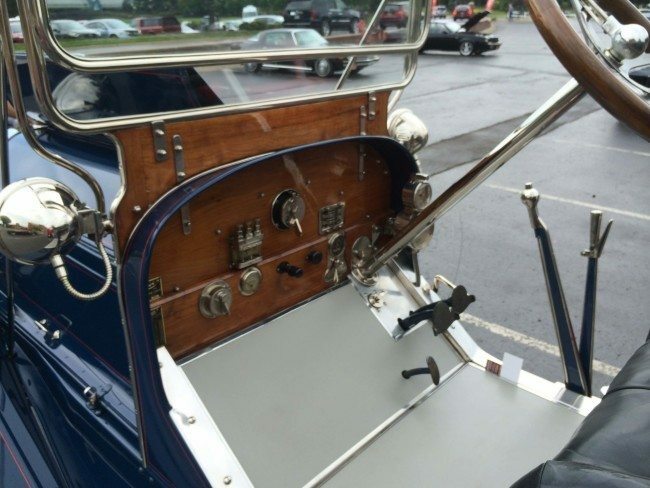 The photos of the vehicle shown here were shot at the 2015 St. Johns Concours, where the owner was kind enough to bring the car out for the Heacock Classic Insurance Cars and Coffee event, as well as displaying it Sunday on the Concours showfield. If you have a Peerless or another collectible you’d like to insure with us, let us show you how we are more than just another collector vehicle insurance company. We want to protect your passion! Click below for an online quote, or give us a call at 800.678.5173.